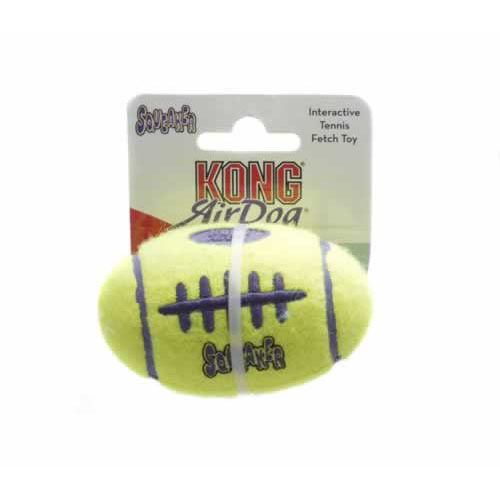 The small sized KONG Air Dog Squeaker Football is made from 100% pure tennis ball which bounces erratically, floats on water and squeaks to get your dogs attention. 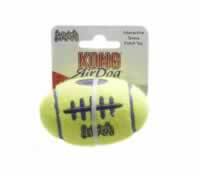 Great for playing fetch games. Squeaks to get your dogs attention. Fun fetch games in the water because the small Football floats. Kind on their mouths because it is made from non-abrasive material.